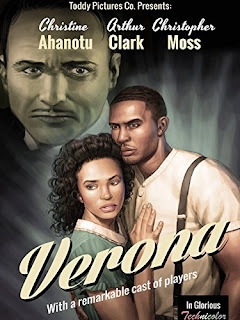 Verona's story is the typical mixed race period film story. Simply put she is a tragic mulatto. The "tragic mulatto" is an archetypical mixed-race person (a "mulatto"), who is assumed to be sad, or even suicidal, because they fail to completely fit in the "white world" or the "black world". 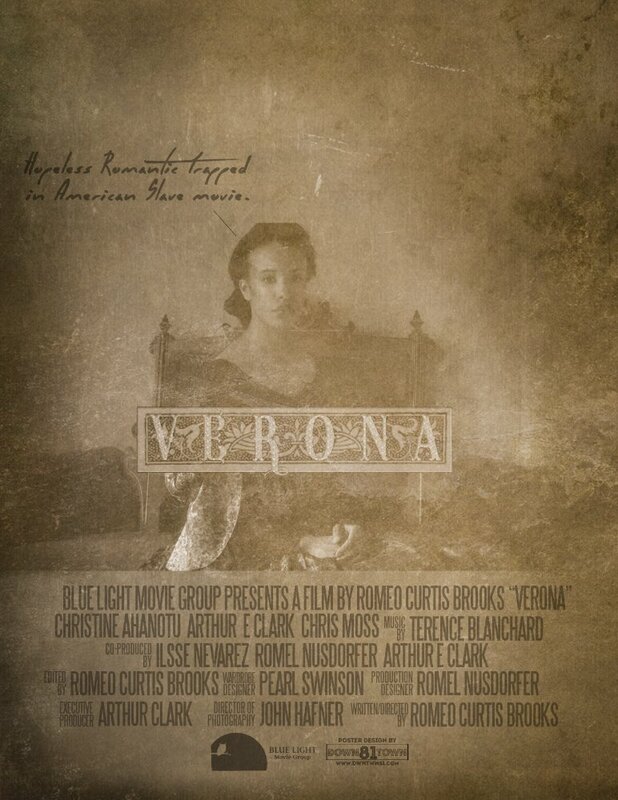 Following the long tradition of mixed race period film/novel characters, Verona (Christine Ahanotu) has a black enslaved mother and a slave owning father that refuses to grant her freedom. A young woman in antebellum Georgia is, at birth, made a slave by her own father, yet is forbidden to love anyone, slave or free. Verona sitting for a photograph. With that plotline you go into the film thinking it will be from Verona's POV, but it is not. From the 30 minute to 50 minute mark we follow a character called David Lee (Arthur Clark), her love interest. Because of this weird narrative choice we do not ever learn much about Verona and how she feels about her lot in life. 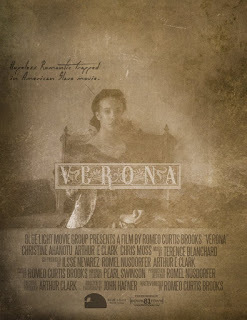 Which is very disappointing as I feel Verona's story could have made a compelling Southern Gothic film. The film could have showed what occurred in Verona's family behind closed doors. Instead we get a film that relied heavily on tired stereotypes. Telling more than it showed, it was not an entertaining watch for me. The various components of the film including the costumes, music, acting, and story were all over the place in terms of quality and never hit the mark. David Lee and Verona talk over their differences. While it was clear the actors wanted to be there, their line delivery was not up to par. Much of the dialogue was presented without emotion or meaning behind the words. Additionally, their accents were inconsistent. Sometimes they spoke the Queen's English, other times they spoke with a stereotypical Southern accent, and sometimes slave dialect. Yet at other times the cast spoke in a modern manner, even using phrases like "on the flip side" which was not historically recorded until the 1940's. The entire film had historical accuracy issues. 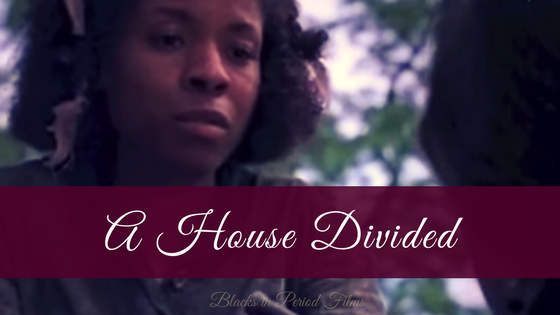 This is detrimental to any period film that wants to be taken seriously; like Verona does. The film takes place in 1857. But most of the costumes, music, locations, language, and character behaviors did not clue me into that. This is such an amazing cover! This is what drew me to the film with such high expectations. As a Note: I researched the film after watching it. Apparently, it was funded by an Indiegogo Campaign that only made 4% of its desired goal budget. This is unfortunate as a better budget might have positively affected the location, costumes, and music choice. However, the story would still be the same. If Verona was fleshed out and given a voice the story would overcome the tragic mulatto pitfall. If the story was better it would have been easier to overlook the historical inaccuracies and unaesthetically pleasing film. I so wish the film makers had reached their goal because I wonder what a $65,500 Verona would look like as opposed to the $2,670 Verona. I know it took a lot of work, time, and energy to make the film. And I'm pleased they chose to tell a period story with Black and Mixed raced characters. However, without quality costumes, acting, and story I felt let down. Verona is currently on Amazon Prime if you want to watch it yourself. If you watch it, come back and leave a comment telling me what you think about the film. Agreed, the foundation of the story was a good one. They just did not expand it in an entertaining way. Thanks for the comment. It is an informative post about movie critics. I get all the news about hollywood from free movies online. This Film Festival has brought many excellent films on one platform. Personally, I enjoyed reading as it was the topic of my custom essay visit this. I agree with your comments about the movie.